ii. Lower share of profit from Malakoff attributed to lower contribution from Segari Energy Venture’s (“SEV”) plant and lower fuel margin recorded at coal plants. ii. Lower share of profit from Malakoff attributed to lower contribution from Segari Energy Venture’s (“SEV”) plant, lower fuel margin recorded at coal plants and lower contribution from associates. ii. lower container volume handled at NMB due to shifting of global shipping alliances. The segment recorded decrease in Profit before zakat and taxation by RM105.3 million to RM136.6 million compared with RM241.9 million reported in the corresponding period of the preceding year due to lower contribution from JPB and NMB. The segment recorded a decrease in Profit before zakat and taxation of RM63.5 million compared with RM97.7 million reported in the corresponding period of the preceding year due to lower share of profit from Malakoff. This is mainly attributable to lower contribution from SEV’s plant, lower fuel margin recorded at coal plants and lower contribution from associates. The segment recorded an increase of 79.7% in Profit before zakat and taxation to RM152.2 million from RM84.7 million reported in the corresponding period of the preceding year mainly due to progress from KVMRT-SSP Line. The segment recorded higher Loss before zakat and taxation by RM19.0 million to RM248.9 million compared with RM229.9 million reported in the corresponding period of the preceding year mainly due to higher finance costs incurred. The Group recorded lower Profit before zakat and taxation of RM40.1 million in the current quarter compared with RM64.3 million in the immediate preceding quarter attributed to absence of remeasurement gain of investment in Zelan Berhad upon reclassification to investment securities. The recent completion of acquisition of the balance 51% interest in Penang Port Sdn Bhd in May 2018 is expected to contribute positively to the Ports & Logistics division’s earnings. In order to facilitate the query of the company and stock picking articles and videos I have written, an index has been produced. 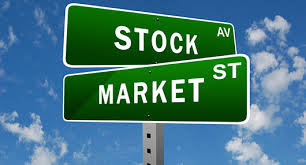 Everyone can find company and stock picking articles and videos from https://klse.i3investor.com/blogs/general/176638.jsp by date.